We will be receiving our raises! 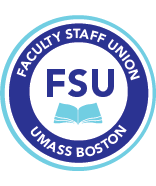 The UMass System Office informed our campus (and all UMass campuses) to disperse your raises—all of it—4% total on your base salary (from the 2% increase due July 1, 2017, and the additional 2% increase due July 1, 2018), and retroactive pay back to July 1, 2017. You will be receiving this in your December 14 paycheck. URGENT: Call Marty Meehan today to get your raise. As you know, the UMass Presidents Office is telling us that there is not enough money appropriated for our raises. But we know that money has been appropriated for the first year of the raises. We have been pressing for at least that raise, due July 1, 2017, even if all the money has not come for the second year of our raises, due last July 1, 2018. A reminder to join us tomorrow (Tuesday) and Wednesday to discuss the parking fee structure and to support our sister unions tomorrow. (Contact FSU for Zoom Information for these meetings). We hope you will soon get a restful break. In the meantime, please join us next week to discuss the parking fee structure. (Contact the FSU for Zoom Information for these meetings).